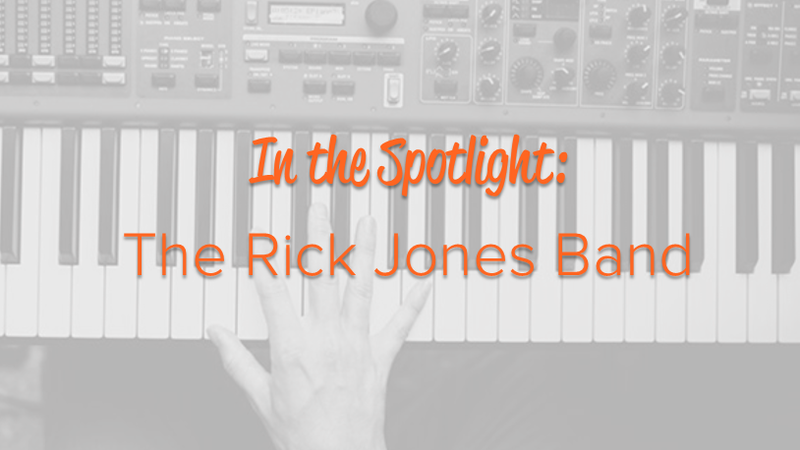 Oregon-based Classic Rock group, The Rick Jones Band, has a story worth sharing. “Within days of signing up for a paid membership, I booked two back-to-back shows. The band originally signed up for a ‘Lite’ membership, but soon upgraded to a ‘Basic’ account. Within days of upgrading, they booked two back-to-back shows – a birthday party and a corporate function. While the Basic membership opened them up to a larger travel radius and more categories to list their services, their interaction with potential clients is what enabled them to convert their leads into bookings. We took some time to speak with the band to learn about their experience during this process. Here are the highlights from our interview with the band, and their top three tips on how to turn leads into bookings. Timing is everything. It is important to be prompt when responding to gig requests. The faster you respond, the more likely it is for you to get the gig. Not only does it give you the first chance to develop a relationship with the client, it also shows them that you are dedicated to their gig. More often than not, clients are getting a handful of price quotes. If you just send them a message with prices, there is no way for them to differentiate you from the other vendors sending them quotes as well. Rick has found that sending clients a follow-up message after sending the initial price quote, sets his band apart from the others. These follow-up responses should be personal and customized and should reinforce your specialties. Clients are looking for that one person who is going to turn their event from something ordinary into something worth remembering- tell them why you’re the one who can make this happen! Sometimes clients may request a quote with a specific price and budget in mind. That price may not be what you usually charge. Rick and his band understand that it can be tough to come down on a price quote when you as a vendor have expenses as well. He is not suggesting that you offer your services free of charge. Instead, try talking to the client to see if you can find a happy medium between both price expectations. Being flexible goes beyond compromising a price quote. As a vendor, you should also practice flexibility while at your gig. Be sure you work with the client to make sure you meet all their expectations. Before the gig, ask clients if they have any special requests for your performance. For example, if you are a band, ask if the client you are performing for has a favorite song or artist. If they do, see if you can work that into your performance. The more you work with your clients, the more likely they are to hire you again, refer you to their friends, or write you an amazing review. Your clients are the key to your success on GigMasters, as with message exchanged or post-gig review, they are letting you know more about their wants and needs. Focus on your clients, and you will set the tone for future success as a member on GigMasters. If you have any other tips that you feel helps turn leads into bookings, feel free to share them with us below!